The town manager told Richard Fowler Jr. in a letter of dismissal that he was fired without a public hearing because he was a probationary employee. SKOWHEGAN — In a letter to the town’s former fire chief telling him that he was being fired, Skowhegan’s town manager told Fire Chief Richard Fowler Jr. he had no right to a hearing, and that the town was not required to give a reason for his dismissal. In her Aug. 8 letter to Fowler notifying him of his dismissal, obtained by the Morning Sentinel under a Freedom of Access Act request, Town Manager Christine Almand wrote that since Fowler had not completed a six-month probationary period, the town could terminate his employment without notice. The town has the right to terminate employment at any time without cause and without requirement of a hearing, she wrote. A criminal investigation into a New Hampshire fire department formerly headed by Fowler could stretch into October, the prosecutor handling the case said Monday. Fowler Jr., was fired Aug. 8 amid reports of a criminal investigation into missing fire department funds in Farmington, N.H. He was Farmington’s fire chief during the period covered in the investigation. Strafford County (N.H.) Attorney Thomas Velardi announced the investigation Aug. 11 into the possible theft of revenues from the town of Farmington, focusing on the town’s fire department. Velardi would not say how much missing money was involved and did not name Fowler as a suspect. Velardi said the legal process in a felony investigation likely will have investigators report their findings to a county grand jury to determine if an indictment is warranted. 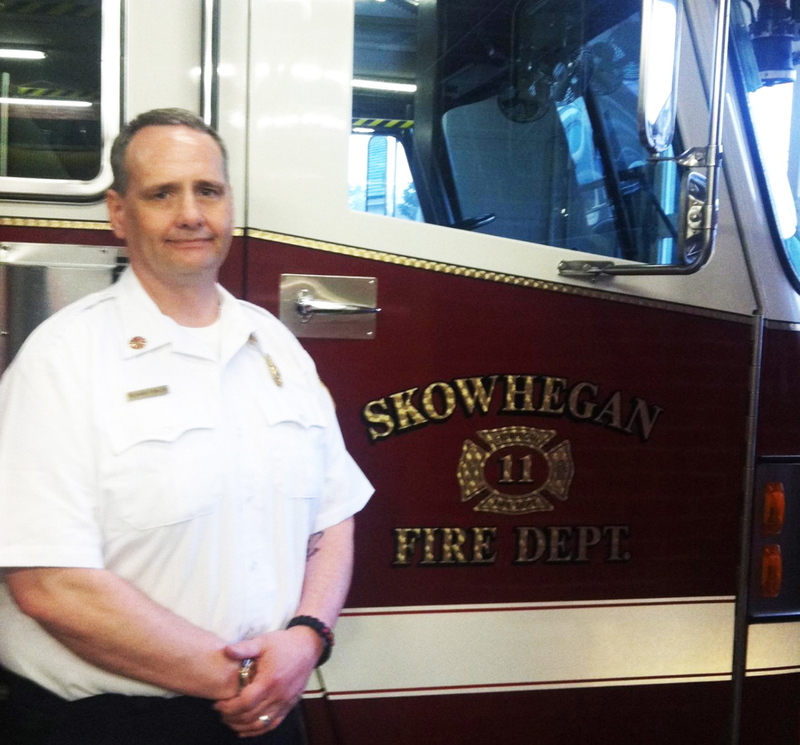 Fowler had been fire chief for less than three months in Skowhegan when he was fired by Town Manager Christine Almand. He had been a firefighter since he was 18 and had been fire chief in Farmington, N.H., for the past 10 years. Almand said she could not discuss the reasons behind the firing, saying it is a personnel matter. In the documents obtained by the Morning Sentinel in its Freedom of Access Act request, there is no mention of Fowler’s firing in text messages between Almand and Newell Graf, chairman of the Skowhegan Board of Selectmen, or in emails with Fowler. In text messages Aug. 4 and 5 Almand reminds Graf that the board would meet in executive session in her office Aug. 5 — three days before Fowler’s firing, but there is no mention of the fire chief or his status as a town employee in the messages. In calls to his personal cell phone, Fowler has declined to discuss the matter, saying only that his employment in Skowhegan just hadn’t worked out. Charles Williams, a volunteer firefighter and emergency medical technician with the New Hampshire fire department, said the Farmington Volunteer Fire Department Association had to be dissolved because of the missing money. Skowhegan town officials and members of the original search committee that hired Fowler said they did everything they could to look into Fowler’s background and references before hiring him this past spring. The fire chief interview committee earlier this year included the Board of Selectmen — Betty Austin, Newell Graf, Steve Spaulding, and Paul York. Skowhegan Road Commissioner Greg Dore, who was interim town manager during the hiring process, also served on the search committee, as did Fire Capt. Shawn Howard and Almand, who was then the town’s human resources director. Howard has been named interim fire chief while the town conducts a search for a new fire chief.